4 Days 'Til Disney - Getting Around the World | What's the Point? Walt Disney World property is over 47 square miles. Think about it... Walt Disney World is bigger than Manhattan. When Walt Disney was looking into property for Walt Disney World, he wanted some place where they can expand over the years. Only 1/3 of Disney property has been developed. You can imagine what the Disney Imagineers have planned for the future! 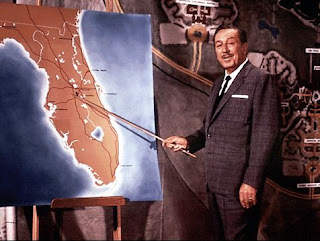 Walt Disney presenting "The Florida Project"
Regardless, planning for transportation around the Resort is very necessary. If you are staying on Disney property, it becomes a lot less of a hassle. 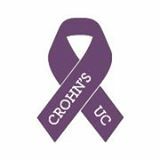 Planning on driving down to Orlando? Walt Disney World provides free parking for resort guests. Flying into Orlando International Airport? 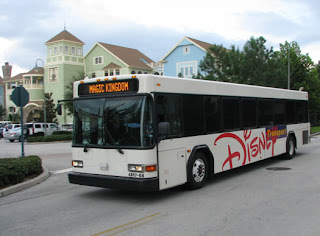 Disney provides a free service called Disney's Magical Express. Disney's Magical Express makes traveling a whole lot easier, especially if you are traveling with children. Imagine this. You check in at your local airport and check your bags with your airline. When your flight lands in Orlando, you get on a bus without thinking twice about your luggage. A few hours later, after you are settled in at your resort, your luggage is delivered to your room. Disney makes this reality... for free! When booking your Disney vacation, be sure to provide them with your flight information. A few weeks prior to your trip, you will receive luggage tags and vouchers for Disney's Magical Express. Disney takes care of your luggage and your vouchers allow you to board your motor coach to your resort. 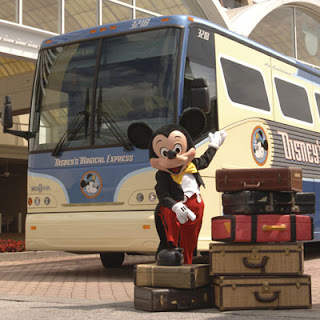 On your way home, the Disney motor coach will pick you and your luggage up approximately three hours before your flight home. Once you get to the Walt Disney World Resort, transportation is included. Disney has an extensive transportation system. They have hundreds of buses, monorails and boats. Transportation from your hotel to the parks and the Downtown Disney district is available approximately every twenty minutes. Like all public transportation, there are kinks from time to time; but for the most part, it runs very smoothly. Every time I have visited the Walt Disney World Resort (apart from my internships) I have relied on Disney transportation. The hundreds of buses clearly do the trick. Disney Cast Members are very helpful with explaining the system. It is very straightforward and you will get the hang of it in no time. It runs all throughout the day. This is an important note. For those of you considering off property hotels that say "transportation included" be sure that you ask for a bus schedule. Many times they have one pick up and one drop off. In the middle of the day, should you want to go back to the hotel for a swim, you will have no way to leave or get back without paying for a cab. This trip, however, we are renting a car. There are several reasons for this. First, we are staying at the Animal Kingdom Villas, Kidani Village. Animal Kingdom Villas is the hotel that is furthest away from the theme parks, aside from Disney's Animal Kingdom Park. Aside from that fact, we also have many dinner reservations at other resorts after park hours. Instead of having to get transportation to Downtown Disney and then another bus back to the Animal Kingdom Lodge, we prefer to drive back to our home resort. Finally, we do plan on visiting family and driving to Universal Studios one day. If you have any questions about getting around the Walt Disney World Resort, please leave them below in the comments section. 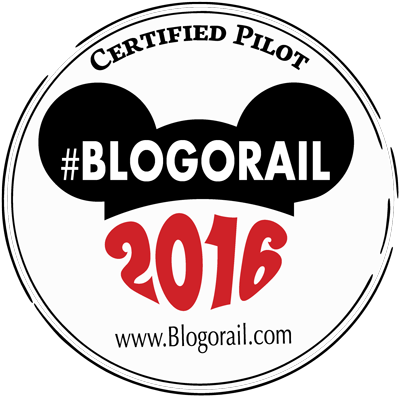 Also, I would love to hear what your experience has been with the Disney Transportation system. Roe, these posts are FANTASTIC!!! 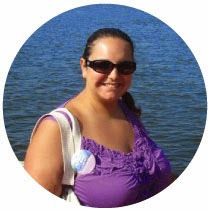 You are doing a great job informing your readers on really planning the best vacation that suits their needs :) I can't wait to see the rest of your posts!!!! Wouldn't stay any other way! We usually drive down, but our car typically stays in the hotel parking lot. Disney transportation rocks- especially when the cast members add to the "magic!" Leanne- agreed! The only days we will be driving will be when we have dinner plans at a hotel that isn't our own.